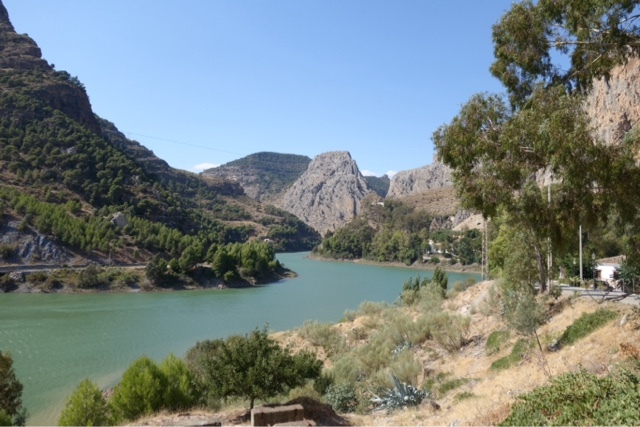 Caught the train from Seville to El Chorro and was told by hotel that there were no buses but taxis to take me the 10 kilometers (6.2 miles) up the mountain to the hotel. 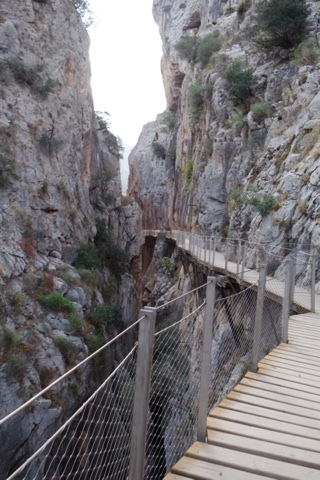 NO TAXIS, so had to walk it. 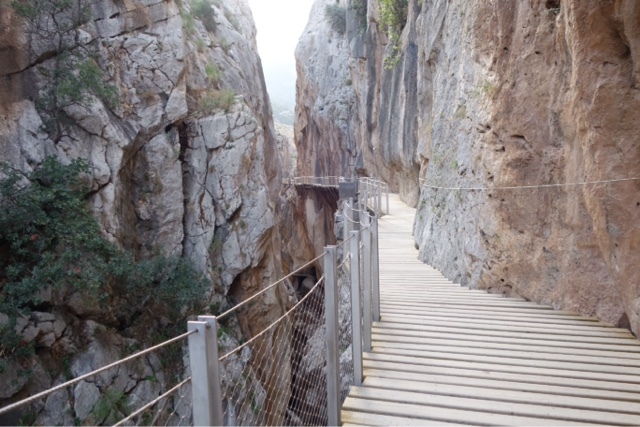 But actually enjoyed the 2 hour stroll. 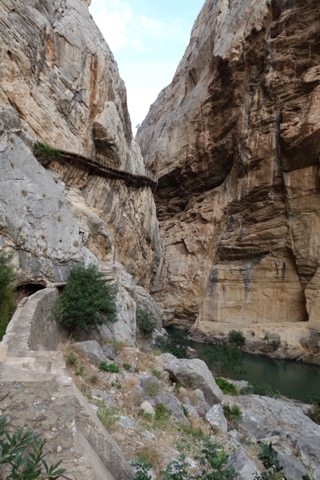 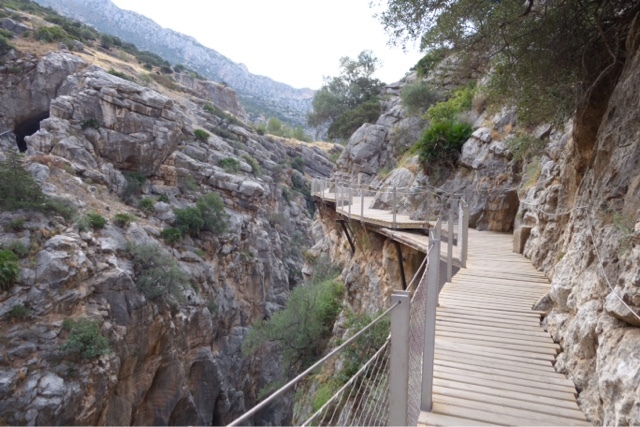 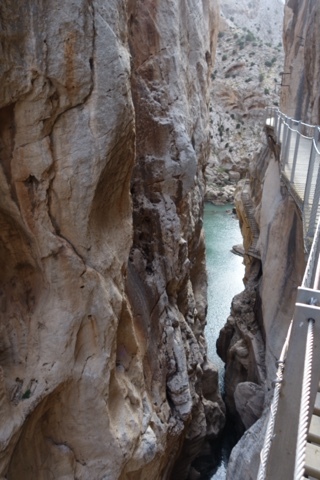 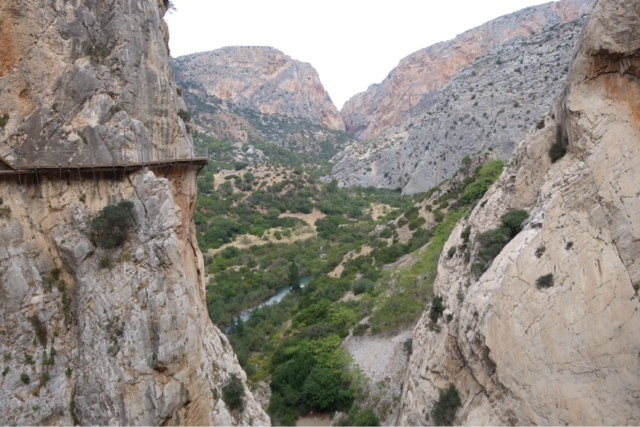 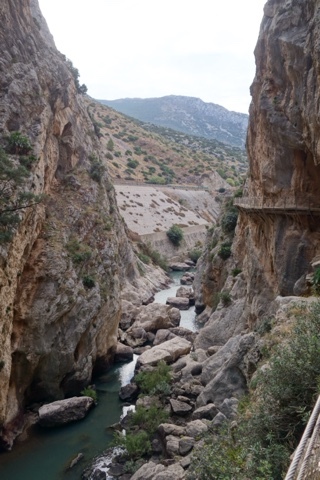 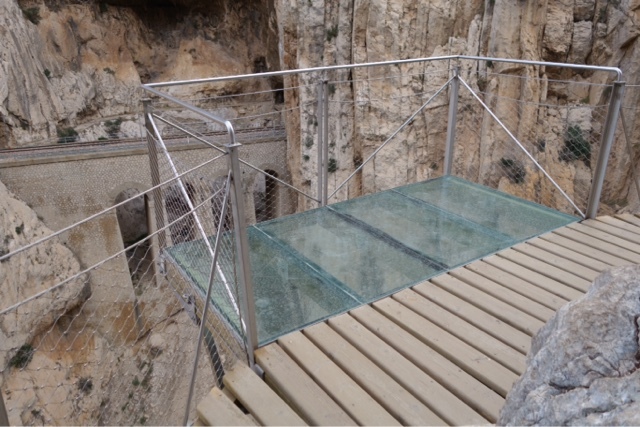 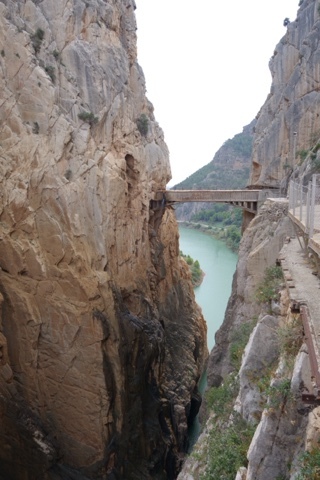 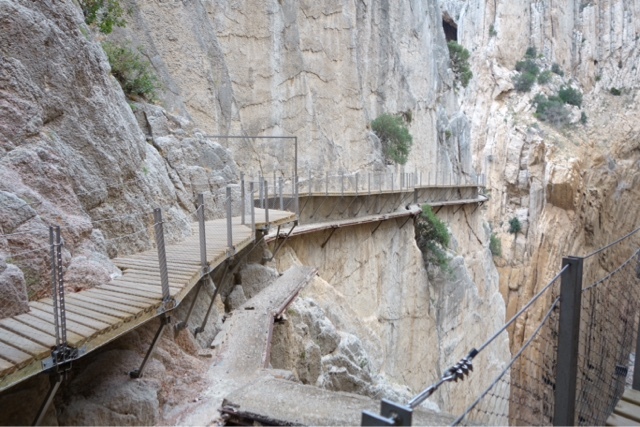 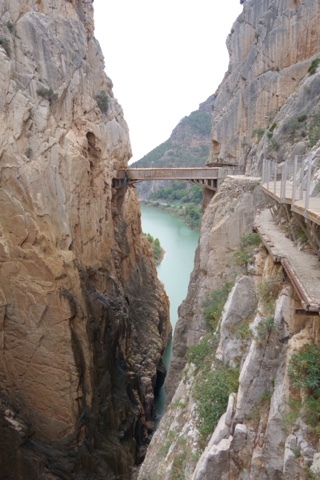 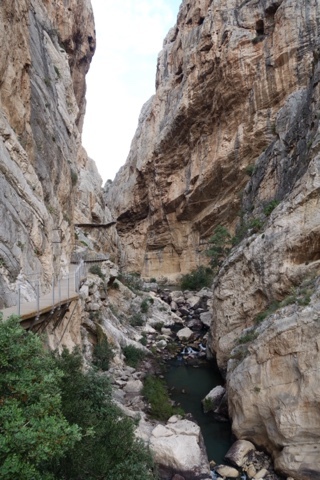 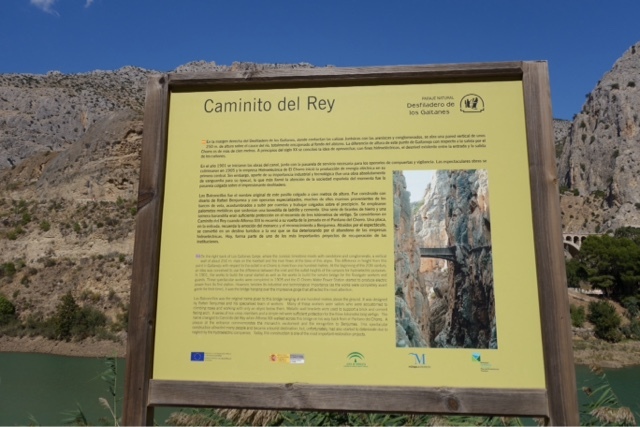 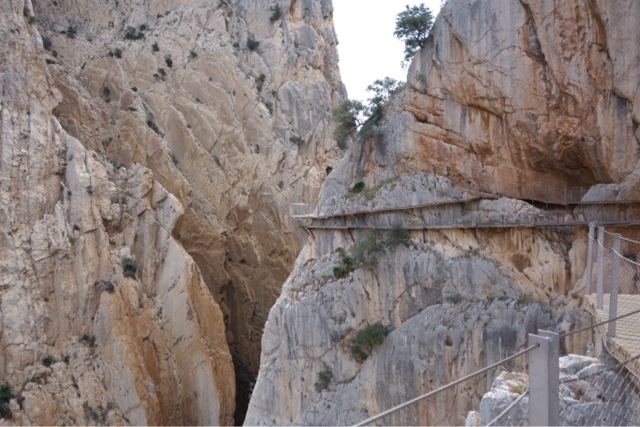 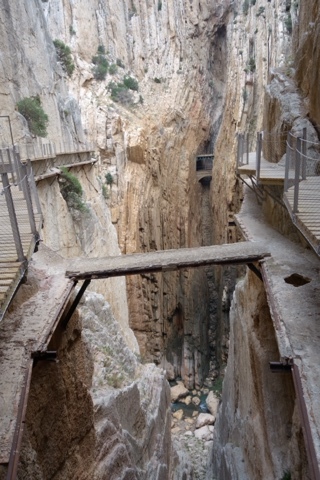 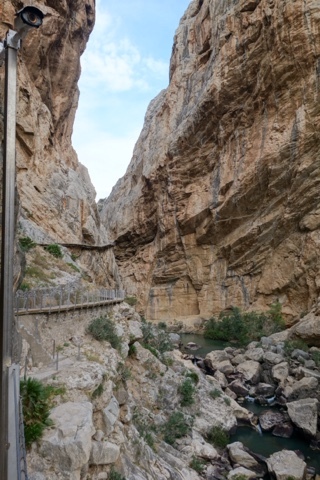 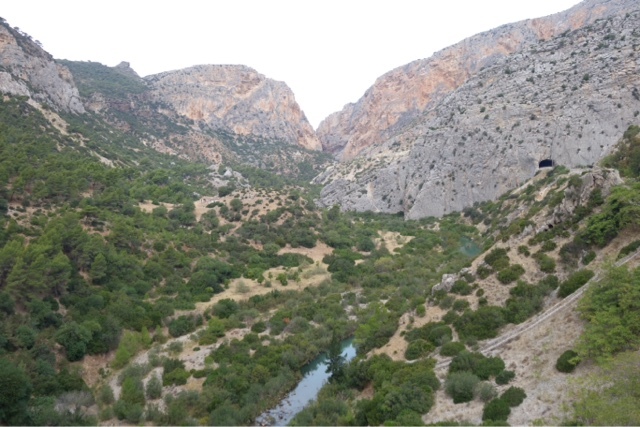 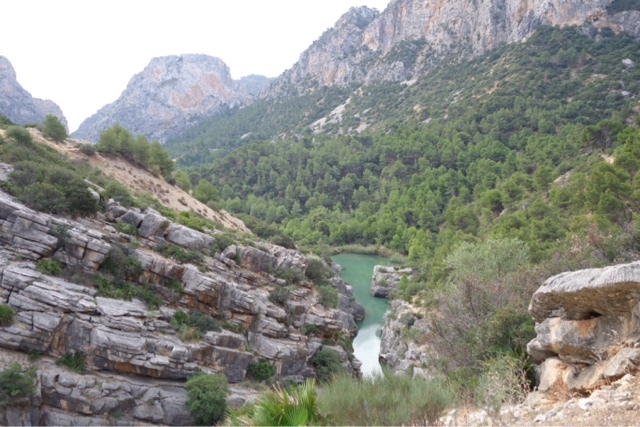 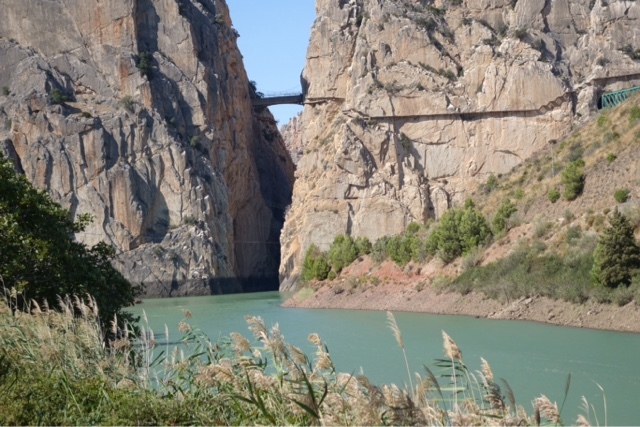 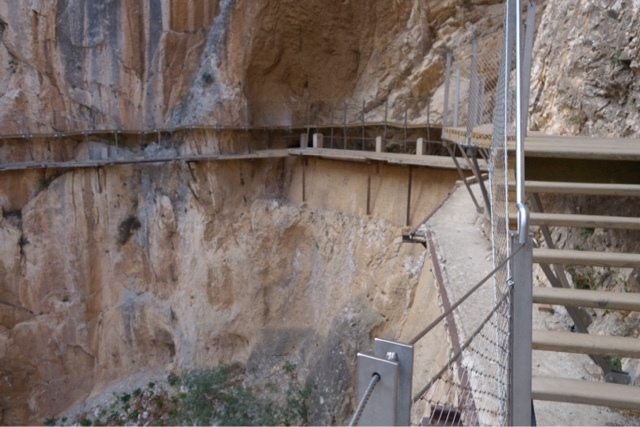 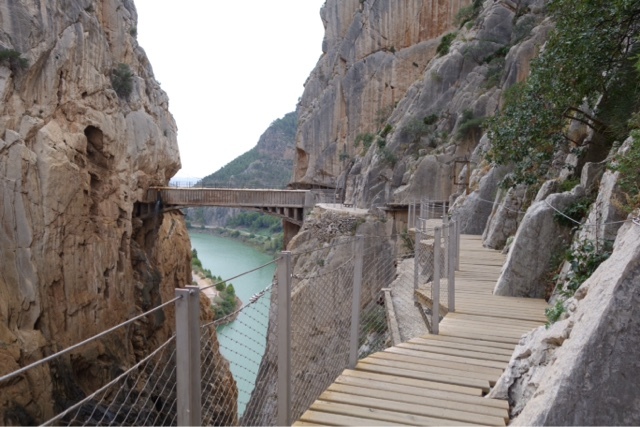 Got up the next day and walked to the entrance of the Caminito Del Rey which had a $5 million dollar facelift to improve its safety. 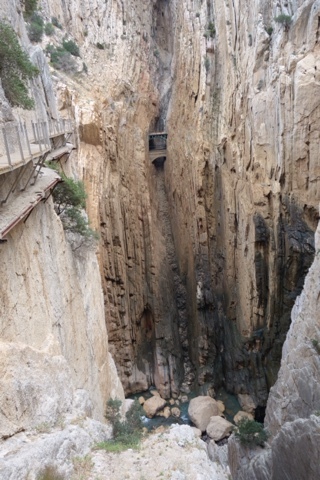 I was told it would take 2-3 hours one way. 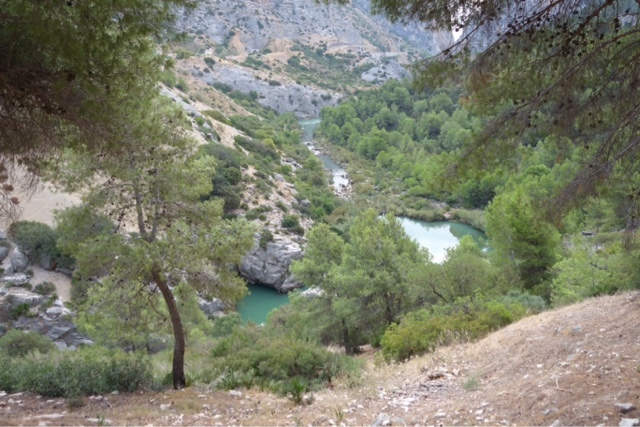 Well ii did the hike both ways in 45 minutes each. 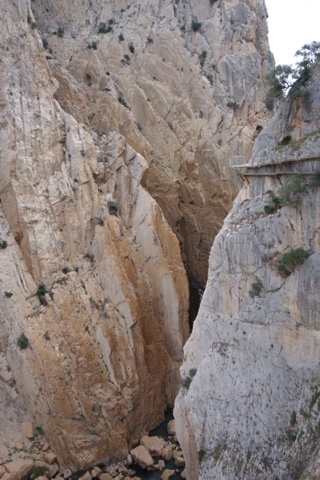 I can see going much slower if there is a fear of heights. 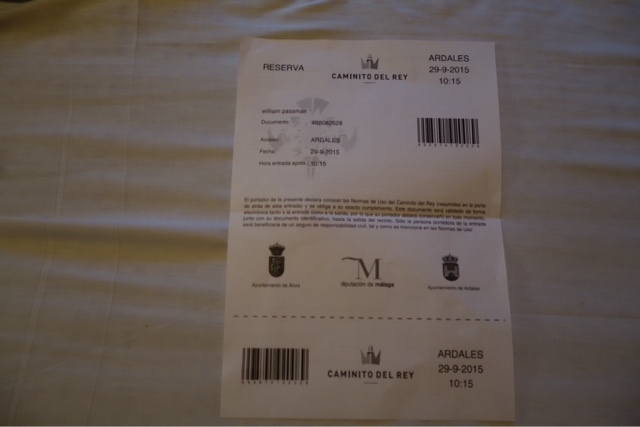 Now 5 hour wait at train station and then 11 hour wait at Seville airport for my 6 am flight to Madrid. 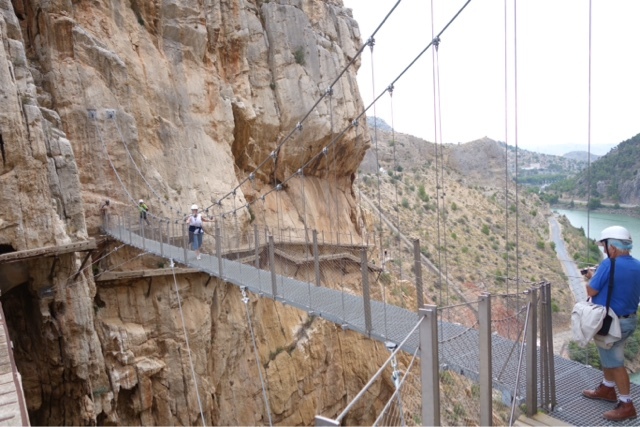 Then a connecting flight at noon to Marrakech, Morocco. 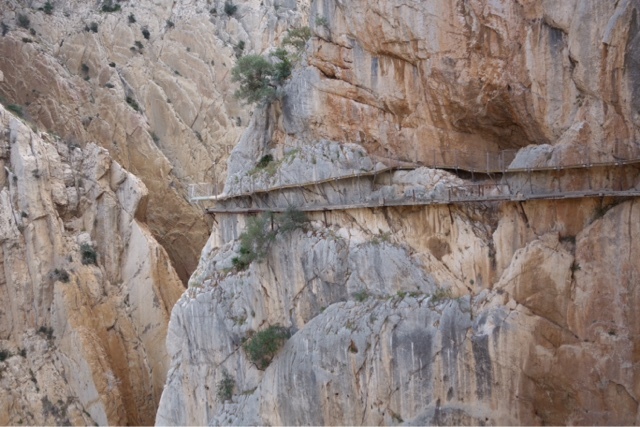 Not for everyone but I like it.